Since dogs and cats cannot produce omega-3 essential fatty acids, they must be taken as dietary supplements. Fish oil is the best source of omega-3 fatty acids for pets. Ongoing research indicates that they are a beneficial daily dietary supplement for humans, dogs, and cats. Omega-3 fatty acids may also support joint health. 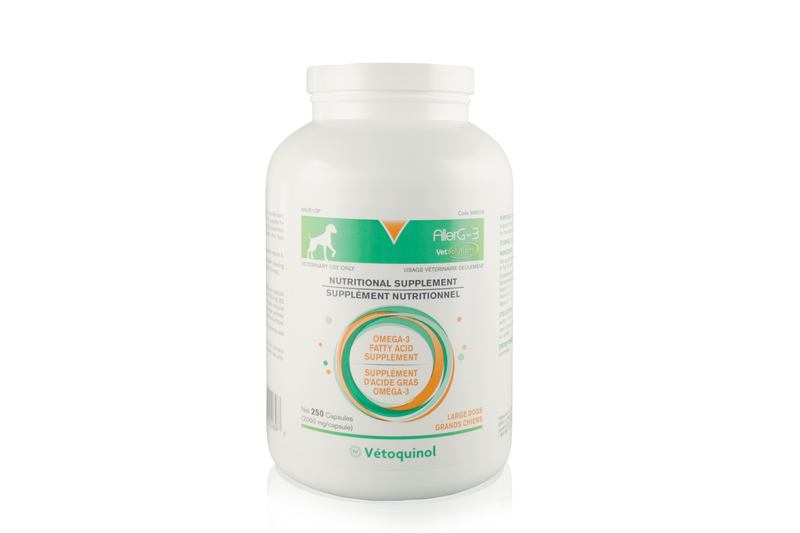 Our AllerG-3 omega-3 supplement comes in both capsule and liquid form, to supply the needs of dogs and cats. Each capsule format (small, medium, or large breed) is available in bottles of 60 or 250 capsules. Mix AllerG-3 with your pet's food once daily.